Part of our recent road trip was a visit to my sewing sister’s house. This is my sister who made the drawstring bags for our Hello Kitty birthday party. Our trip overlapped with my niece’s 8th birthday, and we were able to celebrate with her. My niece invited two friends to come swimming on the afternoon of her birthday. On the day of the party, my sister whipped up some activities that made the party look like she had been planning for weeks (not only does this sister sew, she is also very good at parties). She kept it simple, but it was so cute and colorful. I think it would be an easy party to host for a wide variety of ages. 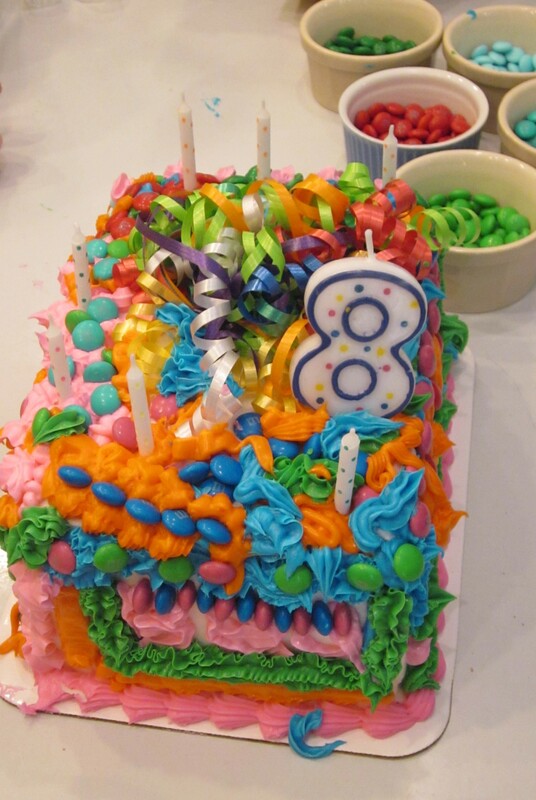 What are other good ideas for impromptu birthday parties that look coordinated and well-planned? 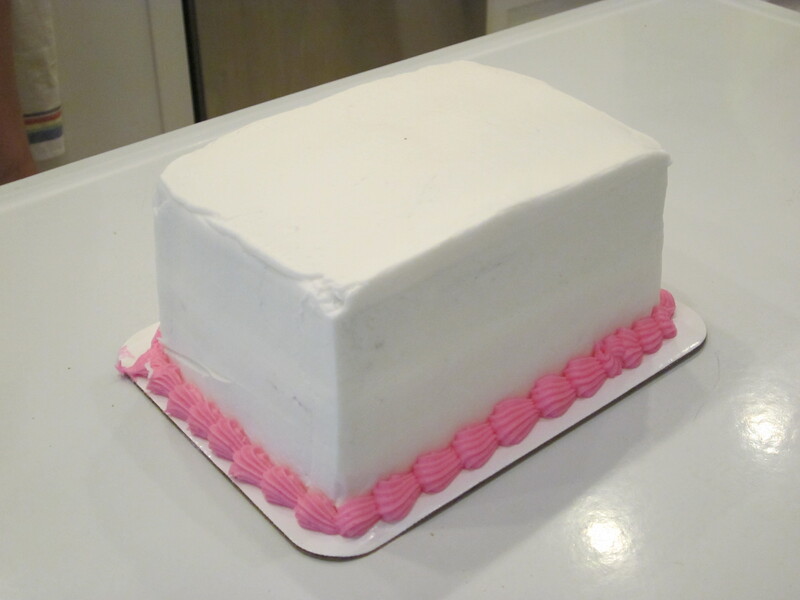 The Cake: My whole family loves a grocery store birthday cake! My sister ordered an undecorated cake– she did plan this ahead of time– and provided materials for the guests to decorate it. Think of the finished product as an edible pinata. 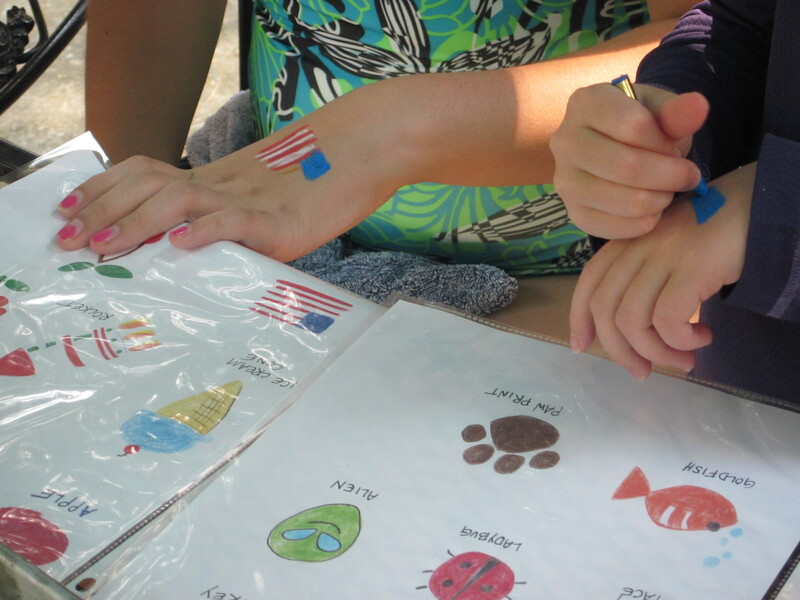 TIP: We decided that an activity like this probably needs a small group. Maybe eight children, max. If you are having a larger party, provide individual cakes or two or three larger cakes. The Betty Crocker Cake Mate squeezable frosting cans were perfect for this project. 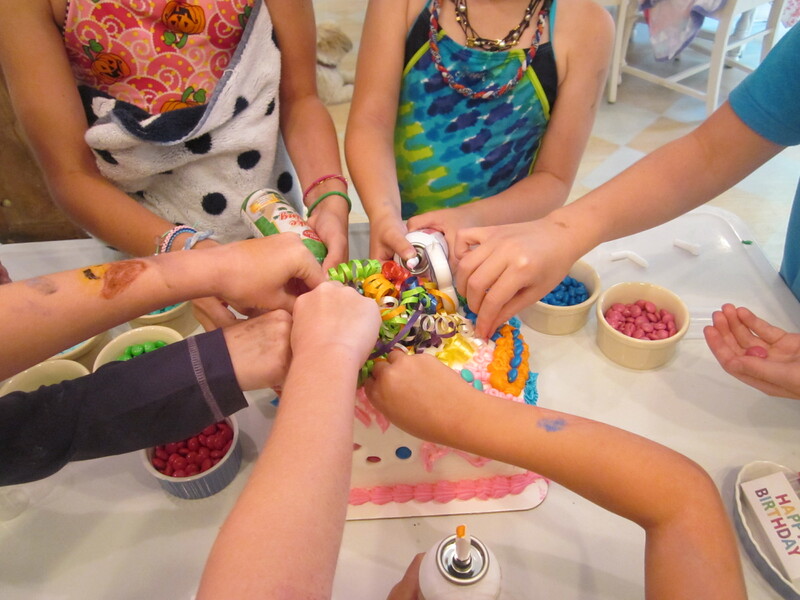 They came in bright colors and offered different frosting tips for fun decorating options. The Ice Cream Sundaes: My sister had colorful spoons and bowls from a previous party and purchased a variety of ice cream toppings at the grocery store. 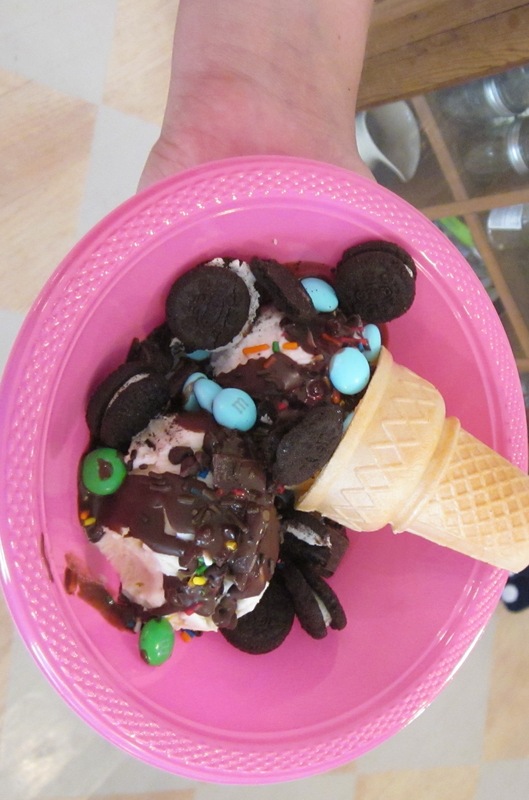 After we scooped ice cream, the guests added as many toppings as they wanted! 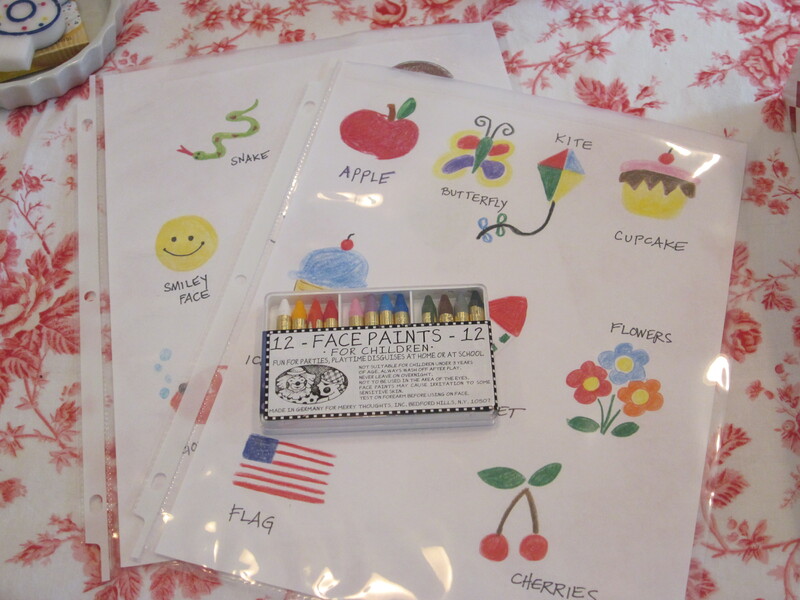 The Supplies: Most of the food items were in white or blue ramekin dishes. 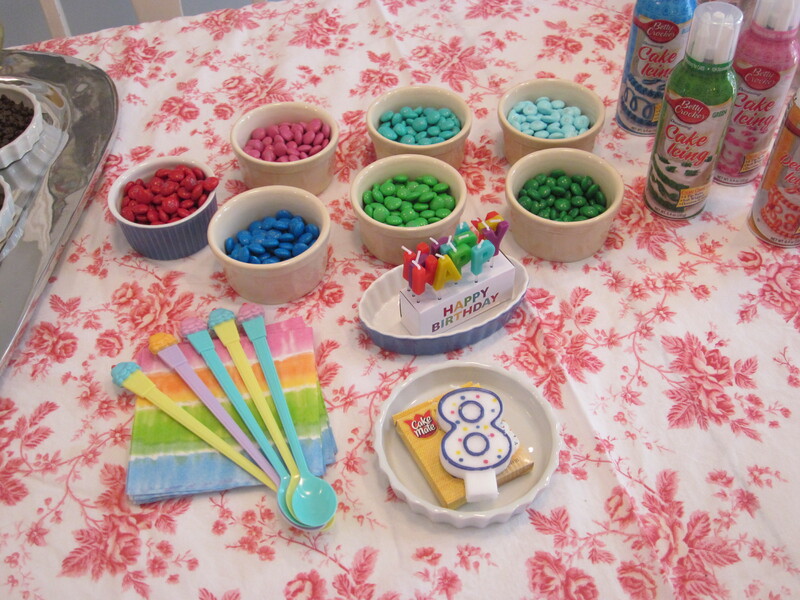 Everything my sister used was in bright “ice cream” colors, which created a themed look to the party even though it was a very casual get together. 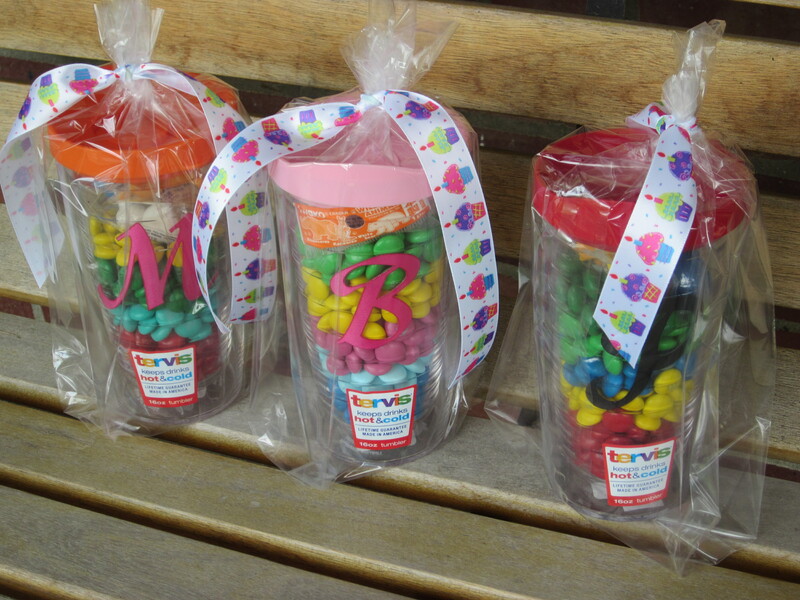 She had pink bowls, ice cream sundae spoons, brightly colored M&Ms, sprinkles, chocolate and caramel toppings, ice cream cones, brightly colored frosting, and Tervis Tumblers with colorful lids filled with M&Ms for party favors.